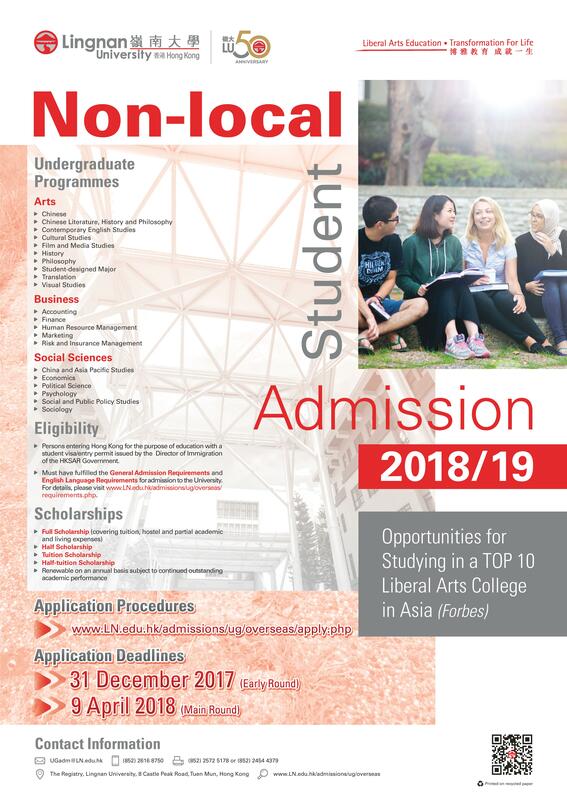 Lingnan University is offering multiple scholarships covering tuition fees, living expenses and acommodation. Interested to know more? Come to Study Abroad Unit @ 1st Floor, SA Block East Campus to find out more!